Essential for the well being of your family’s health and your home and content. 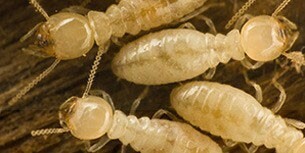 Cockroaches, spiders, ants, termites and rodents are the most common pests that invade a home. These creepy crawlers and nefarious creatures can become a risk to the family’s health and safety, as well as the house itself. 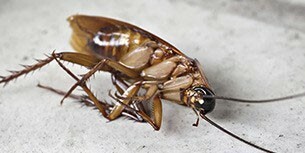 The moment a house is infested with one of these is the start of that home’s decline, unless someone decides to do something about it. We have over 30 years’ experience in the business and we guarantee successful pest eradication in every corner of your home. We offer efficient commercial pest management solutions to ensure that your work space is maintained as a clean and safe area for the business. With this problem out of the company’s mind, you can fully focus on the business. 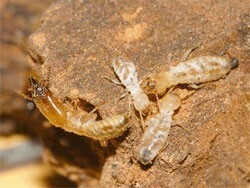 Termite Inspections without quality equipment is almost a waste of time. We offer our clients the assurance to accurately detect termite activity inside their home or office floors, walls and roofs by utilising the latest technology. By using radar, moisture sensing and thermal imaging, we “see” inside your walls and timber frame. Any time you need us, we will be there to provide you with efficient pest management plans and solutions. You can call us whatever time it may be during the day or night. We are one of the best pest control companies offering dependable emergency pest control services for homes and offices that need immediate attention. We not only provide fast and reliable office or home pest control service, but we also have a friendly and highly-experienced staff that will take care of all your needs. We make sure that we fully understand the problem in each residence or office building to help you find the best possible solution to stop infestation once and for all. 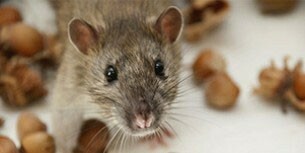 Experience a pest-free home and office, contact us now for a free consultation. We offer reliable and efficient pest management solutions in Penrith, Blue Mountain, Parramatta and Sydney. 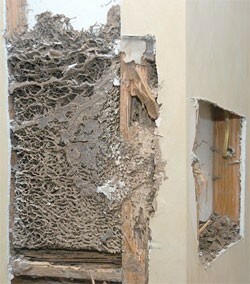 This home was purchased just two weeks prior to our radar detecting this sub-nest in the wall cavity. 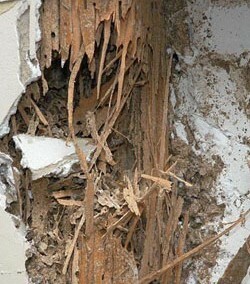 The purchasers inspector did not use Termatrac Radar and missed them at the time of the Termite Inspection.